When it comes to the world of Blade Runner, the mysteries have always been better than the solutions. 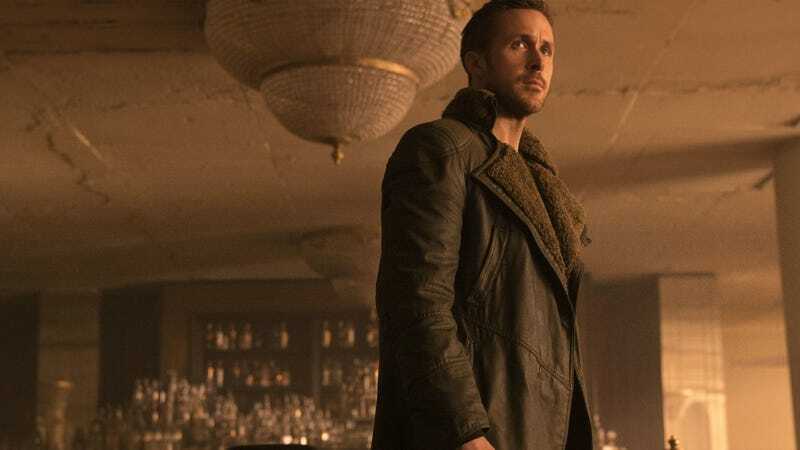 Part of why a sequel like Blade Runner 2049 even exists is because the original film asked so many hard questions and gave so few concrete answers—and it’s a tradition that continues with the new film. To be fair, Denis Villeneuve’s Blade Runner 2049 feels like it has more answers to its bigger questions than Ridley Scott’s 1982 original. But there are some certainly enough mysteries and loose ends to keep us talking, whether or not another Blade Runner movie ever gets made. Below are some of the questions we had about 2049, some discussion of what the answers might be (if any), and then a few other things we’re just selfishly curious about. This is the Blade Runner question to end all Blade Runner questions, and one that is, wisely, still not answered in Blade Runner 2049. Instead, the conundrum is only made more complex. So, for example, fans would ask “If Deckard is a Replicant, how can he be alive 30 years later?” Simple. Blade Runner 2049 introduces the concept of the Nexus 8, a new model Replicant with an extended lifespan. We also learn there have always been advanced models of Replicants with secret abilities, such as Rachael in the first film. So maybe he’s one of them. Then again, throughout Deckard’s limited screen time in the film, he’s decidedly human in his actions. For instance, he doesn’t jump through a wall to escape in Las Vegas, something his Replicant companion K, a.k.a. Joe (Ryan Gosling), does quite easily. Then there’s Deckard’s daughter. Blade Runner 2049 makes the bombshell revelation that he and Rachael, a Replicant, had a daughter. The film reveals that Tyrell, the creator of the Replicants, specially engineered Rachael to have the ability to reproduce. Then, it’s proposed by Tyrell’s evil successor, Niander Wallace (Jared Leto), that Deckard may have also been created for the sole purpose to be with her, so it kind of comes down to the science of it. Is it more believable that Tyrell figured out a way to create life between a human and a Replicant, or to create life between two Replicants? We’ll probably never know, but it’s certainly an interesting question. How did Wallace not know Deckard and Rachael’s child was working for him? Most of Blade Runner 2049 is a race between Joe and Luv (Sylvia Hoeks) to find the miracle child of Deckard and Rachael. However, later we learn that the child is Dr. Ana Stelline (Carla Juri), a woman who has been working for Wallace for years, creating dreams that are implanted into Replicants. For a man that knows so much, it seems a bit odd that Wallace didn’t know Ana was the person he was looking for. There’s no definitive answer to this question but there are some possibilities. One is that perhaps Deckard’s efforts to cover up all records of his whereabouts and of his child were so thorough, Wallace couldn’t have known who she was. And though Wallace knew the child existed without being told (more on that below), it seems likely that Deckard and his friends simply made it very hard to find out his child’s identity. And then, growing up with such unique DNA, she used her potential to become this talented doctor. In the final moments of 2049, as Deckard finally meets his daughter, we see Joe lie down on the steps and, seemingly, die. The film certainly suggests that he’s dead (or “retired,” in Blade Runner speak) but he’s a Replicant. Even if he is “retired,” you have to think he could be brought back, if a story called for it? We even see some precedent for that earlier in the film. How can a Replicant have a baby? “Let me tell you about the birds and the bees.” Seriously, though, this is a question we’re wondering about but don’t think can ever actually be answered. All we know is that Tyrell, the original creator of the Replicants, figured out a way for one to give birth, but kept it very, very secret. We don’t know if the mother needs human DNA or if Replicant DNA works. All we know is Tyrell’s discovery is something Wallace wants to exploit for his profit—but any actual logistics or science will probably never be explained. What’s next for the Deckard family? A very unlikely family reunion takes place at the end of Blade Runner 2049, that of Rick Deckard and his daughter Ana, who is either half-Replicant or full Replicant. Either way, she’s the first child with a Replicant mother, basically making her the most important person on the planet. How she and her father will handle that revelation and choose to proceed is another one of those questions that can only be answered in another sequel (or fan fiction). So we’ll see. However, with Wallace still out there, still powerful, and still hungry for the answers Ana holds, danger is surely looming for them. How does Wallace even know that Tyrell made a Replicant who could—and did—have a baby? The revelation that Rachael had a child is one of the big twists at the beginning of Blade Runner 2049 and is handled as such. The characters are as shocked as the audience. However, soon after—and very matter-of-factly—it’s revealed that Wallace already knew. How? Well, presumably being the current owner of what used to be the Tyrell Corporation has some perks. Like maybe Wallace had access to some secret files where the former owner revealed these things. On the flip side, though, if classified files are how Wallace found out, why didn’t Tyrell document how he did it? Given how quickly the film moves past this, this is obviously not a concern in the Blade Runner world. But still, it’s curious. What is the significance of June 10, 2021? 6/10/21. These numbers are written on the tree at Sapper Morton’s farm, next to where we know Rachael was buried, and on the wooden horse Deckard carved for his daughter. Blade Runner 2049 never quite tells us what the numbers mean, but it’s a safe assumption that was the day Ana was born, and the day Rachael died. She is buried under the numbers, after all, and putting a date of death on a grave is a, dare we say it, very human thing to do. What’s up with the Replicant resistance Mariette is working for? Near the end of the film, Joe is confronted by a Replicant resistance which Mariette (Mackenzie Davis) has been working for. Their leader, Fresya (Hiam Abbass), basically wants what Wallace wants: for Replicants to be able to reproduce. But she also wants them to be free. The implication here is that a larger Replicant uprising is slowly in the works, but Blade Runner 2049 never really pays this off. It sets it up and leaves it be, in what’s the most obvious of several potential clues that 2049 may just be the first of more Blade Runner films. Even if we never see it play out, it’s a safe bet that humanity has some problems coming its way. How the hell did the filmmakers bring back 2019 Rachel? One of the film’s biggest surprises is when Wallace produces a near-perfect reproduction of Rachael circa 2019, the year the original movie took place. Bringing back characters from the grave or making actors look younger is pretty common in movies these days (see: Rogue One, Guardians of the Galaxy Vol. 2), but Rachael, looking exactly as she did when played by Sean Young in 1982, is by far the best one yet. She looks damn near perfect and not like some kind of fully computer graphic creation. There were reports that Sean Young filmed some secret scenes for the movie but, for now, the technical process remains a mystery. However, unlike most of the questions posed above, this is one we will almost certainly get an answer to.